New proposals from Australia’s drug regulator should give you a better idea if your complementary medicines do what they say on the packet. 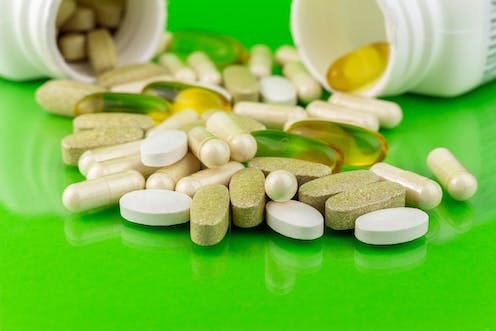 One change proposed by the Therapeutic Goods Administration (TGA) is a “stamp of approval” on the packaging and promotional material of some vitamins, minerals, herbs and other supplements to tell you there is enough evidence to back health claims. Other proposals include reducing the number of often unsubstantiated indications that manufacturers of complementary medicines currently make on their TGA application, which are then used as the basis for advertising claims. The TGA also proposes incentives for companies to develop and market products with new active ingredients, or make new claims based on research. The proposed changes, which are out for public consultation, follow the recent ABC Four Corners program, which highlighted long-standing problems with the way complementary medicines are currently regulated. ABC Four Corners’ documentary “Swallowing it” highlights the shortcomings of how complementary medicines are regulated in Australia. The TGA’s proposals are urgently needed to fix three major shortcomings of the current regulatory system. First, consumer organisations and health professionals have lost confidence in the complementary medicines industry’s ability to regulate its own advertisements, and in the TGA’s ability to apply adequate sanctions when companies don’t follow the rules. Second, there is little incentive for the manufacturers of complementary medicines to research new innovative products or prove existing ones work. There are about 11,000 listed complementary medicines on the Australian Register of Therapeutic Goods (indicated by Aust L on packaging). Listed medicines are meant to contain pre-approved, relatively low-risk ingredients, produced with good manufacturing practice and only make “low-level” health claims for which evidence is held. However, the TGA does not check these requirements before the product is marketed; post-marketing surveillance and upheld complaints show high levels of regulatory non-compliance. But there are only 35 registered complementary medicines (indicated by Aust R on packaging) the TGA says have been thoroughly assessed for safety, quality and efficacy (there is also debate about whether many of these older products should still be on this TGA list). There are fewer products on this list because research to meet registration requirements is expensive, the public doesn’t understand the subtleties between an Aust L and Aust R product and a better return on investment comes from promotional hype and celebrity endorsement of listed products. Third, the TGA provides only limited transparency about companies and products that fail post-marketing evaluation or have complaints upheld. This information is currently regarded as commercial-in-confidence, fuelling the perception the TGA is more concerned with helping industry than protecting consumers. How could the new measures help? The proposal to restrict companies to only making pre-approved, “low-level” indications and claims for a product, such as, “may relieve the pain of mild osteoarthritis”, will minimise the risk of misleading consumers. But it is not yet clear how the list of allowed indications will be established nor how a specific product will be matched with an appropriate allowed indication. The regulator also proposes manufacturers apply for “intermediate-level” health claims falling outside the permitted list (outlined above). An example might be, “our formulation of cranberry reduces the frequency of recurrent urinary infections in women”. For this, the TGA would have to assess the evidence substantiating the claim for a particular product. If the evidence stacks up (and there’s a debate about the type of evidence needed), the product could then carry a TGA “stamp of approval” on the label and any promotional material. But it is not clear what this “stamp of approval” will be. Is it text, a symbol or both? In preliminary TGA stakeholder consultations, consumer representatives supported a prominent visual identifier (like a logo or symbol) because of the failure of the existing Aust L and Aust R labelling to inform consumers. But industry representatives were concerned a highly visible identifier for a small number of evidence-based complementary medicines might affect sales of the bulk of listed products without one. The TGA’s proposals encourage innovation because they will stimulate companies to engage in research to qualify for a TGA “stamp of approval”. The proposal also suggests companies that develop a TGA approved evidence-based claim would be awarded a three-year period of data protection to stop others freeloading on their research. But the proposed changes do not yet address the need for greater transparency in the regulatory process. For instance, it is not clear whether the TGA’s assessment of evidence to back higher-level health claims for complementary medicines will be publicly available, as they are for prescription medicines. These proposed changes, which are out for public consultation until March 28, 2017, sit alongside other recommendations aimed at improving the advertising complaints system. 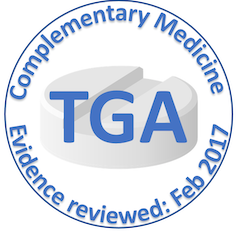 If the TGA implements this package of recommendations, Australia will be a world leader in how complementary medicines are regulated. Despite the substantial and increasing use of supplements, no other country has developed a system that helps consumers and health professionals separate the evidence-based wheat from the chaff, improves confidence in the industry, stimulates more evidence-based products and has the potential to boost exports. Ken Harvey has represented Choice (the Australian Consumers’ Association) on discussions about regulatory reform during TGA stakeholder consultations. He is also an executive member of Friends of Science in Medicine.